Isaac Julien’s 2004 work Encore II (Radioactive) is a short film study inspired by a character from the writings of Octavia Butler, an African American Science Fiction writer, best known for her recurring exploration of genetic manipulation, contamination and hybridity and David Bowie’s Starman. 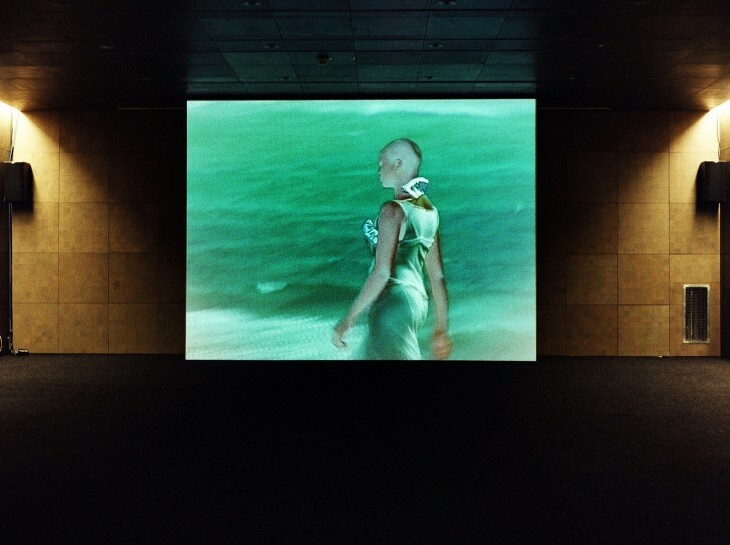 Image: Installation view of Isaac Julien's Encore II: Radioactive, exhibited in 3', Central Gallery of Contemporary Art, La Coruña, Spain, 2005. © Isaac Julien.